This volume fills a significant gap in the literature by presenting a comprehensive and detailed review of what is known about the antecedents, correlates, and consequences of dependency. The volume opens with a review of theoretical frameworks that have influenced previous research on dependency. An overview and critique of commonly used assessment techniques contrasts the strengths and weaknesses of objective, projective, behavioral and interview-based dependency scales. Chapters covering etiology deal with the development of dependency at various stages of the life cycle and allow for comparison of the predictive validities of two important theoretical frameworks: the psychoanalytic and social learning models. Social and interpersonal consequences are considered, with attention to both the person's behavior and its effect on others. The chapter on psychopathological dependency thoroughly covers the enormous amount of research on this subject. 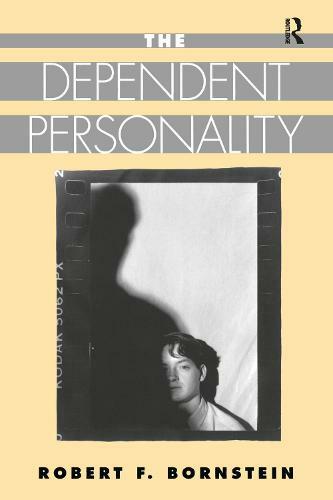 Dependent personality disorder is next addressed, as well as the relationship of dependency to risk for physical disorders, followed by a discussion of dependent individuals as psychiatric and medical patients. In the concluding chapter, Bornstein presents a new theoretical model, expanding on the traditional view of dependency as a deficit to encompass the positive, adaptive qualities of dependent individuals as well.